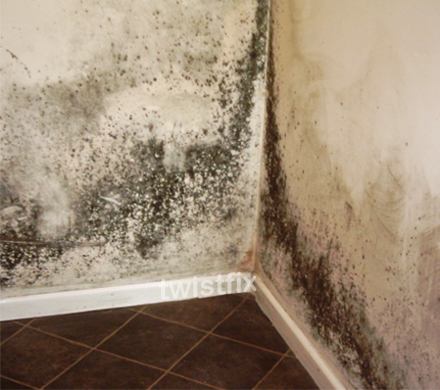 Condensation damp and mould are conditions that cause distress to millions home owners. Affecting properties both new and old, condensation is recognised as being the major cause of dampness in UK houses and flats, especially those with poor heating and ventilation. Air inside a building contains a certain amount of water vapour, which generally increases when kettles are boiled, baths are run and clothes are dried indoors for instance. The volume of water vapour that the air can hold is a function of its temperature; warm air has the capacity to hold more moisture vapour than cool air. Therefore as the air circulates, and comes into contact with surfaces cooler than itself such as walls, woodwork and windows, the water vapour to condenses, becoming liquid again. The steaming up of a bathroom mirror at shower time is a good example of how condensation droplets are formed; the mirror surface being cooler than the moisture-laden air. Whilst the condensed liquid will run-off glass or painted timber surfaces it is likely to soak into porous surfaces such as walls and ceilings. What are the effects of condensation? Condensed water that soaks into walls or untreated woodwork will damage the underlying substrate of the building while simul­ta­ne­ously providing the perfect environment in which unpleasant and unhealthy mould colonies can grow. A plethora of studies into the effects of inhaling mould spores unanimously agree that it causes damage to the immune system, skin rashes and respiratory disorders such as sinusitis and pneumonia. Do not confuse condensation with rising damp! Rising damp carries salts from the ground. Salts are not conducive to mould growth; indeed salts kill mould by extracting moisture from it. 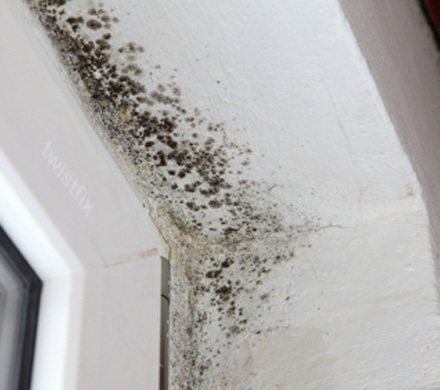 If you have mould then it is not caused by rising damp. Humidity control is the best condensation control method and the first step towards ensuring that a property remains relatively free from condensation is to reduce the amount of water vapour in the air. Heating and ventilation are the key factors, not only in bathrooms and kitchens where the steam produced by washing or cooking poses a high level of threat but also in other rooms where poor airflow in corners and behind furniture may cause a condensation problem. 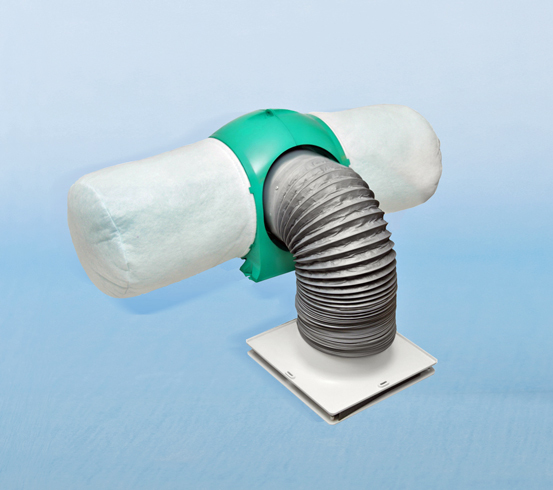 We have a selection of condensation-control fans that reduce humidity in houses and flats, providing consistent heat recovery, air circulation and ventilation to allow air laden with excess water vapour to be safely removed. 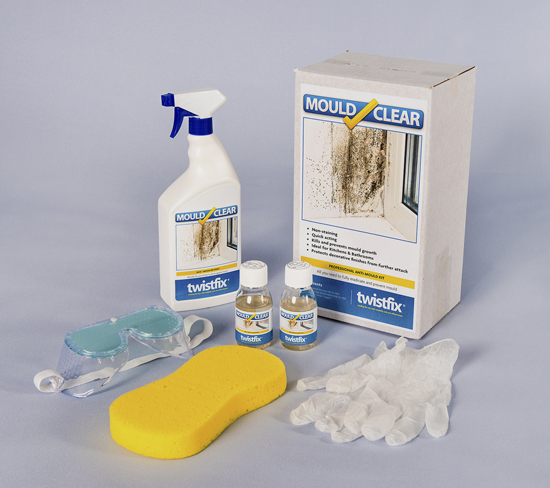 Where condensation problems have been neglected for some time and mould has already begun to form, the Twistfix Mould Remover Kit can be used to fully restore the area and to guard against future mould. To protect surfaces in industrial environments, Twistfix Anti-Condensation Paint is designed to maximise its damp-absorbent qualities and improve insulation. The porous structure of the paint absorbs the excess moisture created by condensation and releases it at times of low humidity. For more information on the Twistfix range of solutions for condensation, damp and mould, please contact our experienced team on 0845 123 6006 or email us at sales@twistfix.co.uk.